Rockstar promising lots more information in the coming weeks. 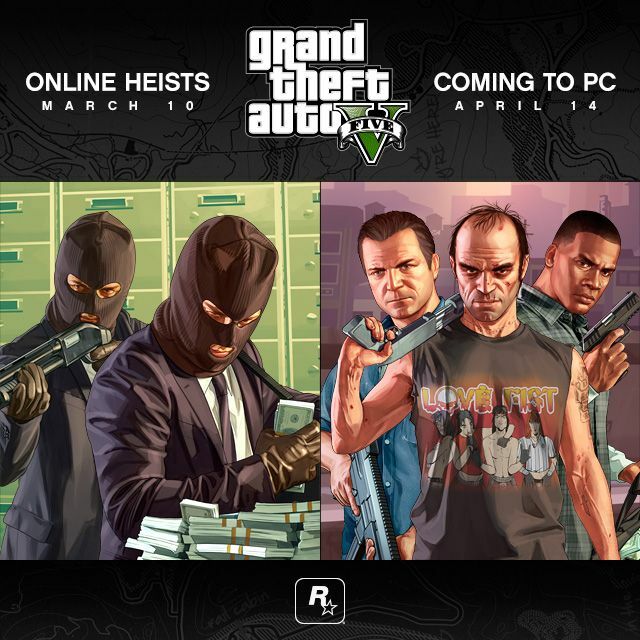 As for the PC version, Rockstar has acknowledged the long wait gamers have faced and are offering in-game cash to anyone who pre-orders GTA 5 on PC as an apology. 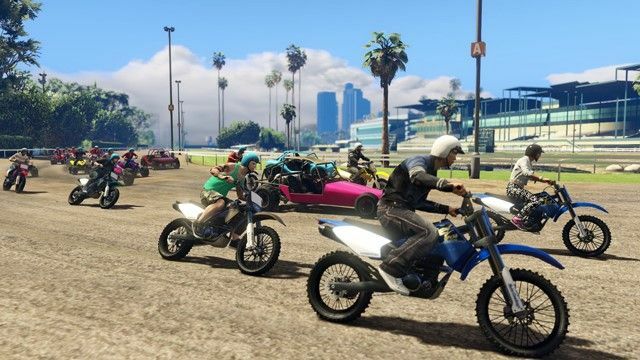 Those who pre-ordered the game on PC will be handed an additional $200,000 in-game cash for use in GTA Online as compensation for the wait. 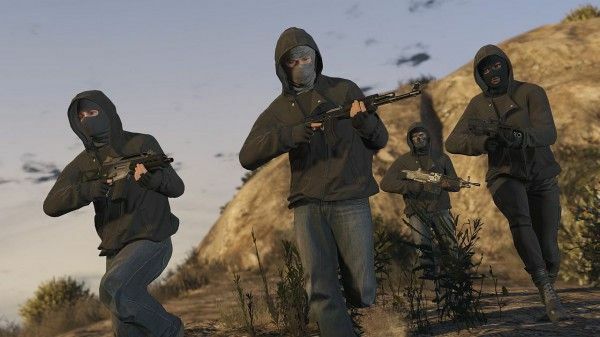 GTA Online’s Heists was expected sometime before GTA 5 was released on PC, and the firm detailed what to expect from the feature back in December. 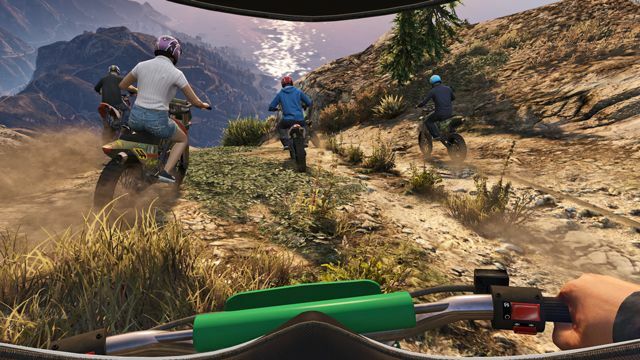 The long-awaited four-player game mode for GTA Online, will launch March 10, Rockstar Games has announced. Yesterday, leaked art showed new gear, vehicles and weapons players. Rockstar has since released screenshots. 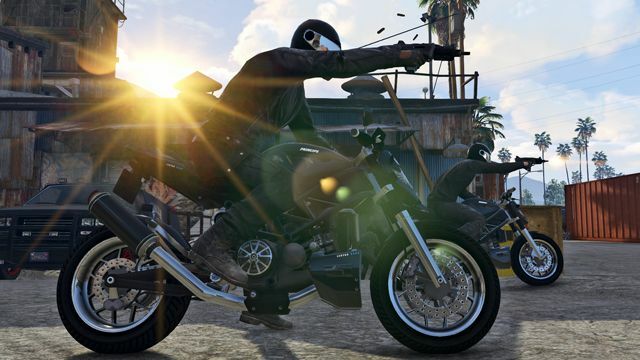 "We know it's been a wait, and appreciate your patience," said Rockstar on its Newswire. 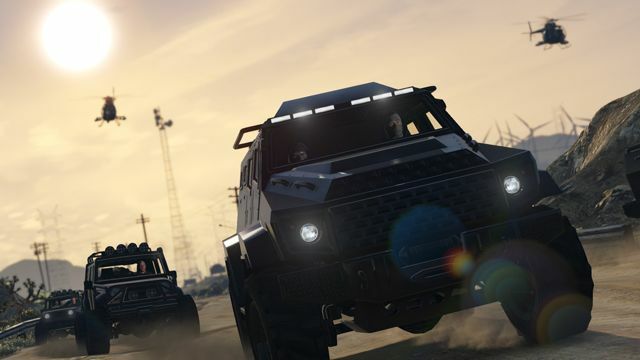 "Heists will bring a brand new 4-player cooperative gameplay experience to GTA Online, giving players the chance to team up to pull off a string of intense, multi-part raids and robberies across Los Santos and Blaine County. 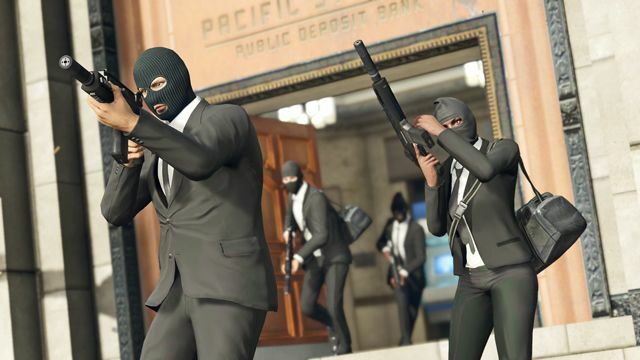 "Over the next couple of weeks, we will have more information about the launch of Heists and about other new features that we will release with it."